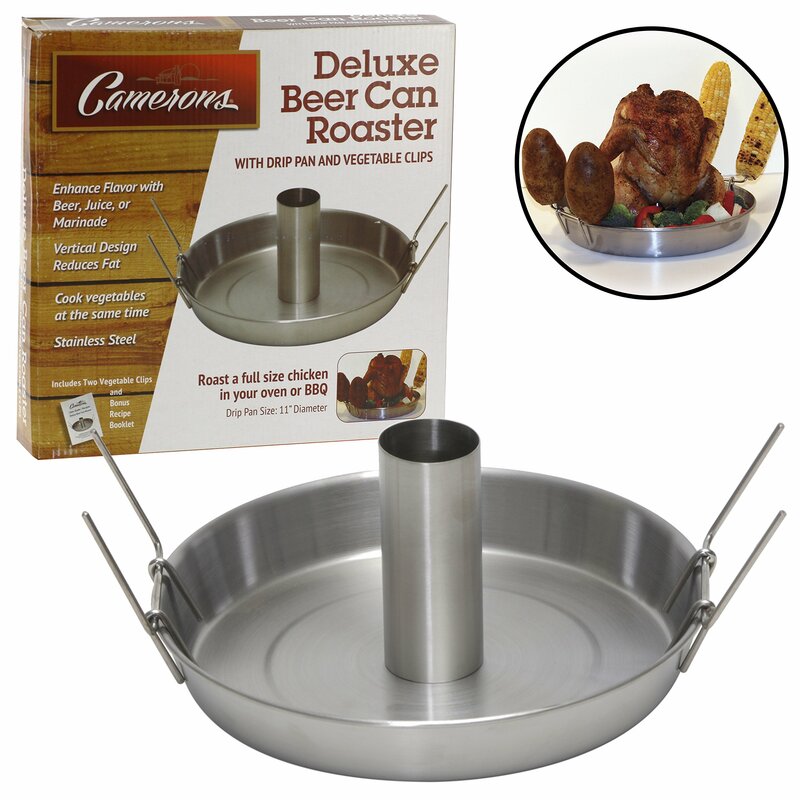 Home › Home and Kitchen › Beer Can Roaster - Stainless Steel Chicken Beeroaster Deluxe With Recipe Guid..
Beer Can Roaster - Stainless Steel Chicken Beeroaster Deluxe With Recipe Guid..
Beer can roasters are the one of the healthiest and tastiest ways to grillproducts, and no one grills better than Cameron Products. This deluxestainless steel beer can roaster is the only one you'll ever need. Thevertical design cooks the chicken in the air, rather than in the grease andfat. At the same time, this roaster set has veggie spikes to roast your greensat the same time. Fill the tube with beer, juice, or marinade to grillmoisture right into your dish. All you have to do is pop the chicken on thespike and everyone will be proclaiming you a barbecue king or queen. Bake for1-1/2 hours at 375 or on your barbeque on medium heat. Set includes: deluxebeer roaster, 2 vegetable spikes, recipe and instruction guide. Stainlesssteel construction; oven safe to 500F.